Many today shudder at the thought of what Herod did on that dreadful day nearly two thousand years ago. It was a heinous crime and one of the darkest moments in human history. However, I believe we may be living in a much darker time than those. Consider Herod’s motivation and actions. He wanted to have everything his way. A rival king would be an inconvenience and didn’t fit his plans. He thought he was more important than Jesus or any other child. So what did he do? He got rid of what stood in the way of his plans and career. The epidemic of abortion is caused by the very same selfish and prideful reasons. 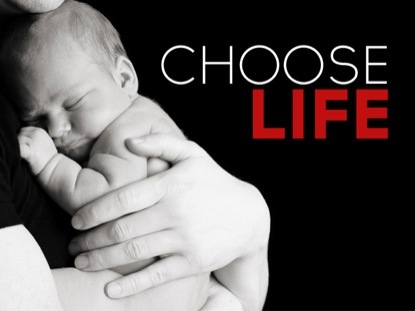 Use whatever word you want – call it abortion, call it choice – it is still mass murder of the pre-born. The only thing different today is that we have thousands of Herods and doctors waiting to carry out their execution orders. The parents are not fleeing to Egypt for safety, they are running to Herod to rid themselves of an inconvenience. It is a practice accepted by society and encouraged by government. It is an act that will be judged by a Holy God. Just look at the way Herod died. God is still on His throne. God still hates sin. God will still judge in righteousness. If you know someone who is pregnant and considering ending the life of their child, encourage them to put that child up for adoption. There are thousands of parents who would love to care for and raise that child. Adoption is one of the most glorious doctrines of grace found in the Bible. It is a God-honoring practice now as well. I know that my tone in today’s blog is harsh. I do not apologize. Sin is sin whatever name you put on it. And we should speak out against sin and defend the lives of the millions slaughtered each year. Parents (yes I mean mother and father) do have a choice. They can either have a living child or a dead child.